On the crisp, chilly morning of December 4th a few weeks ago, I had the honour of being the photographer for the winter wedding for Davinder and Kuldip. They had a wonderfully relaxed and happy celebration which included a beautiful traditional Sikh ceremony at the Gurdwara Sri Guru Singh Sabha on Havelock Road in Southall and an Indian wedding reception at The Clay Oven, Ealing Road Wembley. Having chatted to Davinder about her wedding photography, I knew she wanted natural, unobtrusive and candid wedding photos which captured the personal story of their day and families, so I have been looking forward to my first Sikh wedding in a couple of years. I’ve photographed at both venues in my many years as a London wedding photographer covering Indian weddings, but they both took me by surprise with how gorgeous they were after a couple years break. The winter sunshine beamed through the stained glass at the Gurdwara and bathed the wedding in glowing window light. As the photographer, I get to observe and capture the view and story of the wedding which guests may not have seen, and what was particularly sweet about Davinder’s and Kuldip’s Sikh and civil ceremonies, was their little glances and smiles at each other, as well as the palpable closeness of their friends and family present. When we had just a few minutes break between the Sikh wedding and departing for the afternoon Indian wedding reception a few miles across London, the most amazing backlighting made the Gurdwara and the newly married couple absolutely shine. I couldn’t have asked for more beautiful lighting to show off this lovely place and couple! We then headed off to The Clay Oven where an afternoon of mock tails, delicious Indian food and so much dancing awaited. I never quite remember how much fun Sikh weddings are until the music starts and ages 3 to 103 take to the dance floor in a whirl of coloured lights, moves and euphoria. There was a bit of calm for several touching speeches, greeting guests and cake, and then it was times for more fun and dancing to celebrate the happy occasion of Davinder’s and Kuldip’s clearly happy marriage. 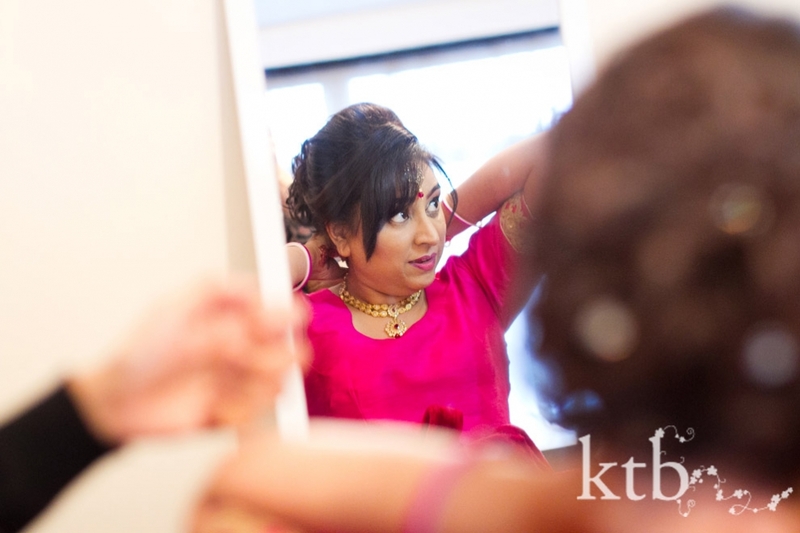 See more candid Indian wedding photos at ktb photography.